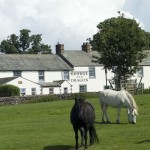 Trying to find pubs in Cumbria? You’ve come to the right place. We’ve got every pub and bar in the UK listed. 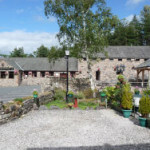 Whether you’re looking for a pub or bar in Cumbria to play darts, somewhere to play pool or just want to have a look at a menu before you go, we can help. 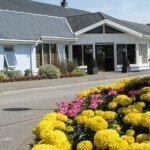 Parkfoot Caravan Park in Howtown has accommodation. The pub has aircon, it welcomes customers with campervans. Parkfoot Caravan Park has a beer garden. The pub has a car park, it has disabled facilities. Parkfoot Caravan Park is a family friendly pub. The pub serves food, it has a function room that can be booked. Parkfoot Caravan Park has an outside area. The pub serves real ale, it has a smoking area. Parkfoot Caravan Park has free WiFi. The pub has DJ's, it has karaoke. Parkfoot Caravan Park has live music events. The pub has a pool table, it holds quiz nights. Parkfoot Caravan Park has a big screen. The pub shows football on TV, it has Sky Sports. Parkfoot Caravan Park has terrestrial TV. Mardale Inn in Bampton has a beer garden. The pub has a car park, it serves food. 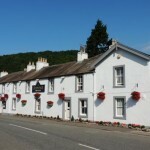 Mardale Inn has an outside area. The pub serves real ale. 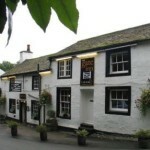 Sun Inn in Pooley Bridge has accommodation. The pub has a beer garden, it has a car park. Sun Inn gives a warm welcome to dogs and their owners. The pub is a family friendly pub, it serves food. Sun Inn has an outside area. The pub serves real ale, it has free WiFi. Sun Inn is a member of Cask Marque. Brackenrigg Hotel in Watermillock has accommodation. The pub has a beer garden, it has a function room that can be booked. Brackenrigg Hotel has an outside area. The pub has live music events, it holds quiz nights. Brackenrigg Hotel has a big screen. The pub shows football on TV, it has Sky Sports. Brackenrigg Hotel has terrestrial TV. Traditional 18th Century pub. Exactly what a Lake District pub should be, with low beams and roaring fires. Lowther Castle Inn in Hackthorpe has a car park. The pub has disabled facilities, it is a family friendly pub. Lowther Castle Inn serves food. The pub has a function room that can be booked, it has an outside area. Lowther Castle Inn has a real fire. The pub has a smoking area, it has a dart board. Lowther Castle Inn has a pool table. 12/07/2012 Very good bar meals served daily!! Kings Arms in Stainton serves food. The pub serves real ale. George & Dragon in Clifton has accommodation. The pub has a beer garden, it has a car park. George & Dragon gives a warm welcome to dogs and their owners. The pub is a family friendly pub, it serves food. George & Dragon serves real ale. The pub has a real fire, it has free WiFi. George & Dragon is a member of Cask Marque. Yanworth Gate Inn in Yanwath serves food. The pub serves real ale. Bee Hive in Eamont Bridge has an outside area. 19/01/2014 Staying nearby popped in for great meal. North Lakes Hotel & Spa in Penrith has accommodation. The pub has a car park, it has disabled facilities. North Lakes Hotel & Spa is a family friendly pub. The pub serves food, it serves real ale. North Lakes Hotel & Spa has a real fire. The pub has free WiFi, it is a member of Cask Marque. Kings Arms in Shap has accommodation. The pub has a beer garden, it has an outside area. Kings Arms has a dart board. The pub has live music events, it has a pool table. Kings Arms has a big screen. The pub shows football on TV, it has Sky Sports. Kings Arms has terrestrial TV.